Microsoft is rebuilding its .NET development platform in order to make it cross-platform and open source. In addition, the new modular design enables features such as native code compilation, improving performance. Why 1.0? Because these are new. The whole .NET Core concept is new. The .NET CLI is very new. Not only that, but .NET Core isn’t as complete as the full .NET Framework 4.6. We’re still exploring server-side graphics libraries. We’re still exploring gaps between ASP.NET 4.6 and ASP.NET Core 1.0. .NET Core is a small, optimized runtime that can be targeted by ASP.NET 5 applications. In fact, the new ASP.NET 5 project templates target .NET Core by default, in addition to the .NET Framework. Learn what targeting .NET Core means for your ASP.NET 5 application. .NET Core 5 is a modular runtime and library implementation that includes a subset of the .NET Framework. Currently it is feature complete on Windows, and in-progress builds exist for both Linux and OS X. .NET Core consists of a set of libraries, called “CoreFX”, and a small, optimized runtime, called “CoreCLR”. .NET Core is open-source. ASP.NET Core 1.0 is not a continuation of ASP.NET 4.6. It is a whole new framework, a side-by-side project which happily lives alongside everything else we know. It is an actual re-write of the current ASP.NET 4.6 framework, but much smaller and a lot more modular. 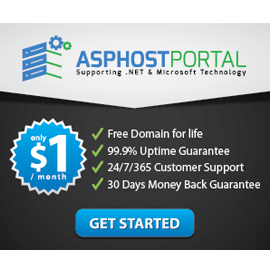 Version 1.0 indicates that these products are new which means that users won’t confuse them with the current stable versions of ASP.NET and the .NET Framework. ASP.NET 4.6 and the NET Framework 4.6 are the “more mature platform” currently nut ASP .NET Core will get there one day but not with the version 1.0 release. It is likely that the move will still confuse some users especially when it comes to the question whether they should install .NET Core 1.0 on their machine or not. Entity Framework Core 1.0 (EF Core) is Microsoft’s reboot of Entity Framework for the new “mobile first, cloud first” world. According to the roadmap, EF Core will become the official version at some point in the future when the team feels that they have a critical mass of important ORM features implemented. Hanselman confirms that the core version of NET won’t be fully compatible with the current versions of the NET, which means that .NET Core 1.0 won’t be enough to guarantee full compatibility with programs and applications requiring certain NET features. ASP.NET 4.6 and the NET Framework 4.6 are the “more mature platform” currently nut ASP .NET Core will get there one day but not with the version 1.0 release.